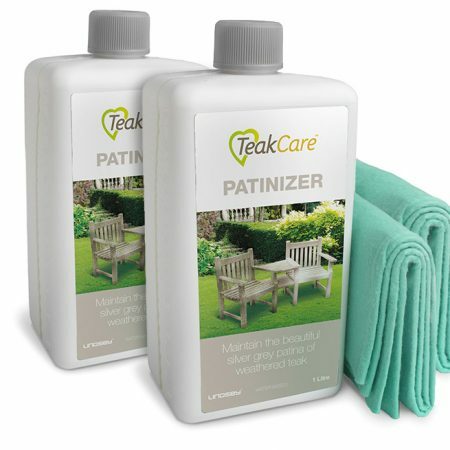 Our water-based Teak Patinizer contains synthetic polymers which resist water and dirt. 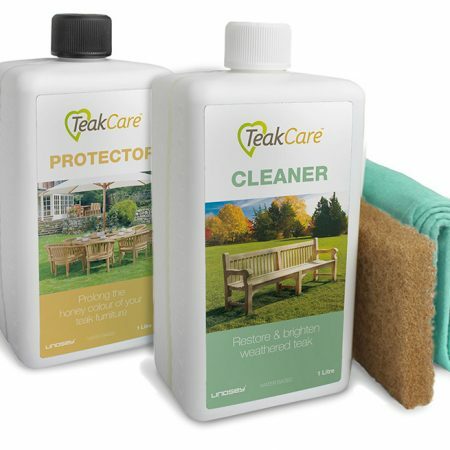 These polymers slow the growth of algae and fungi therefore preventing your teak wood garden furniture from turning green or black. 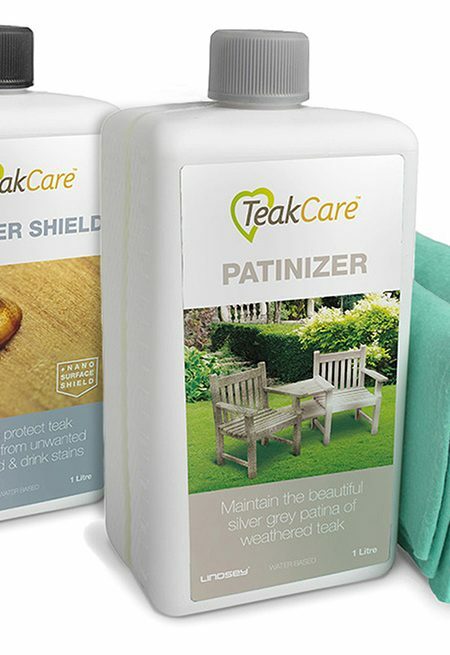 Use Teak Patinizer to achieve an even silver-grey colour without getting green deposits or dark patches. 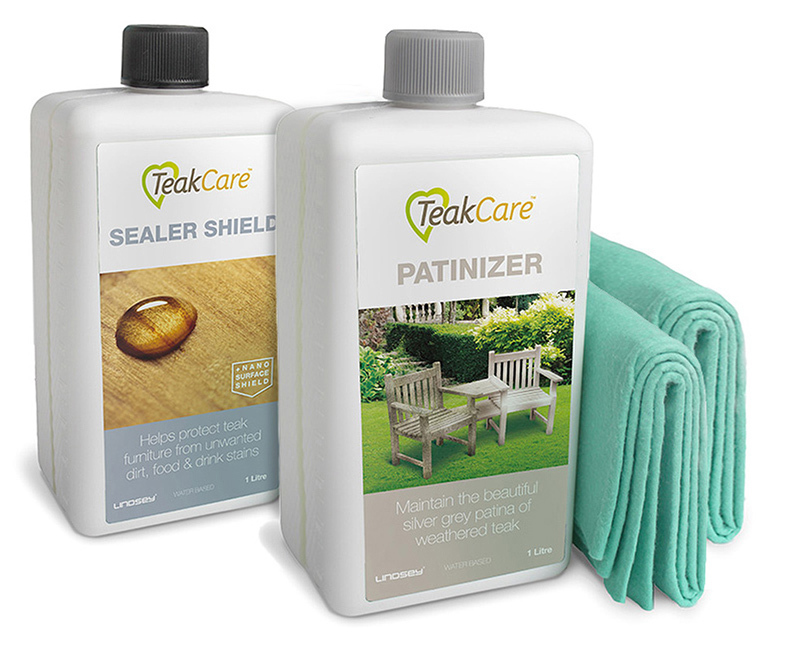 Our Teak Sealer Shield will make your teak wood furniture water and dirt repellent and is suitable for indoor or outdoor furniture. 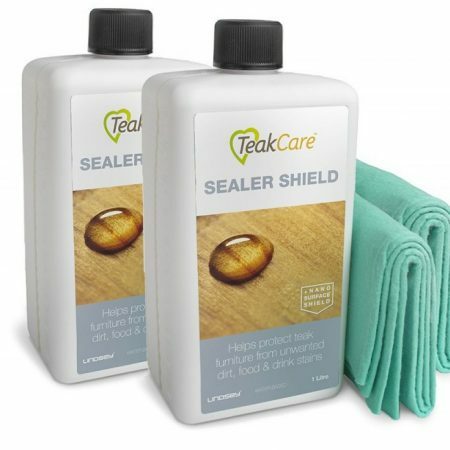 This water-based Teak Sealer Shield is an almost invisible wood impregnator that stops food and drink spills from seeping into teak. Consequently, you can simply wipe your table with a damp cloth without any unsightly stains remaining. 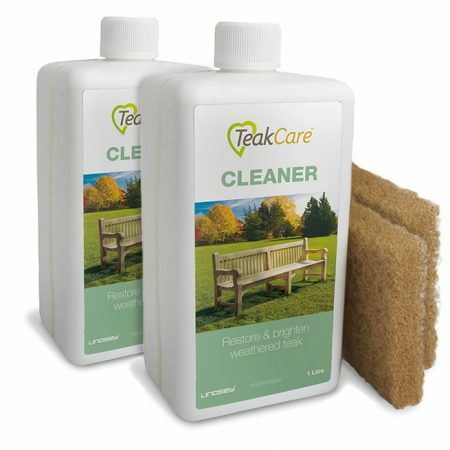 Our effective teak treatments are water-based so they aren’t oily or greasy and they’re easy to apply. What’s more, they don’t contain solvents or VOCs so they’re non-hazardous and eco-safe. Both bottles contain 1 Litre and cover approx. 7 sq. metres each. Each bottle includes a soft cloth for added convenience.